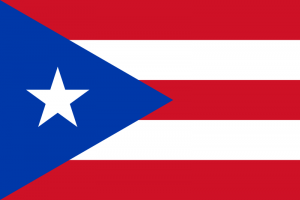 Puerto Rico, officially known as the Commonwealth of Puerto Rico, is an unincorporated territory of the United States with self-governing status, located in the northeast of the Caribbean, east of the Dominican Republic and west of the Virgin Islands. In addition, its west coast is located to approximately 2,000 kilometers (1,280 miles) of the coast of Florida, the closest of the continent. Its administrative division consists of 78 municipalities, each with its own identity and its own municipal legislature. The main cities are San Juan (capital of the country), Carolina, Guaynabo, Mayagüez, Trujillo Alto, Caguas, Arecibo, Ponce, Cataño and Bayamón. The archipelago of Puerto Rico includes the main island of this country, the smallest of the Greater Antilles, and a number of smaller islands and cays, of which the largest and most important are Mona, Vieques and Culebra. It is an island with a tropical climate and, despite its size, has diverse ecosystems: dry and rainy forests, mountainous areas, coastal ecosystems and others. Puerto Rico is an island, it has climatic variations. The east, where the national rainforest of the Yunque is, receives more amount of rain than the rest of the island. It has a tropical to subtropical rainy climate; The northern zone generally presents constant precipitations throughout the year, with temperatures varying between 21 and 29 degrees Celsius with a subtropical climate. Meanwhile, the south is drier, with a semi-desert climate in its entirety. The gastronomy of Puerto Rico is very varied, and it emphasizes products such as the great variety of fruits and vegetables, cassava, sweet potatoes, onion, garlic, chayote, (pear-shaped fruit prepared similarly to Pumpkin), coconut, pineapple, papaya, etc., pork and beef, as well as fish and seafood, are the basis of their cuisine, among the most outstanding dishes, we can mention the famous asopao, rice soup and chicken, The fish soup, the empanadillas, the fried banana, the rice with coconut, the rice with beans, among others. By the middle of the 20th century, the Puerto Rican economy was dominated by agriculture, especially the cultivation of sugar cane. However, a large investment in infrastructure and extensive incentive programs have managed to significantly transform their economy. Since the 1960s, many multinational companies have been established in the pharmaceutical, electronics, textile, petrochemical and more recently biotech industries. Today, manufacturing and the service industry (including tourism) have replaced agriculture as the main revenue producer. Similarly, livestock and the production of dairy products replaced the sugar industry as the main agricultural sector. The economy decelerated between 2001 and 2003 due to the global economic crisis, to be established again in 2004. The city, home to lots of cafes, art galleries, museums, beautifully restored homes and unique shops. It also highlights the Plaza Las Américas, the largest shopping center in the Caribbean.